We used to see a long queue of people standing outside buying either 4D or TOTO. At least one of your family members would have been a part of that, maybe even you. However, it seems that the tradition of buying 4D in Singapore might not be carried on in the future if it does compare to the growing power of technology. 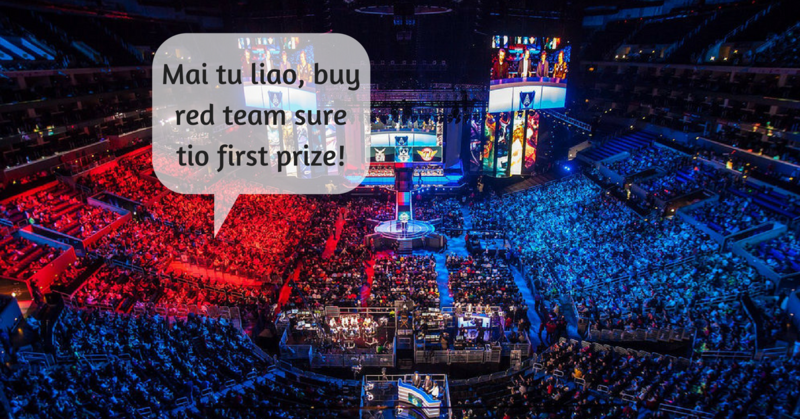 The New Paper reported yesterday that “Online games like Dota 2 are drawing gamers who place hundreds of dollars in bets daily on tournaments”. That particular type of gambling is called eSports betting. eSports is a competitive tournament of online games for professional gamers. Mainly played by the younger generation, eSports has taken the world by storm since its first international competition in 1997. The eSports industry has been growing over the years and the market is expected to expand to $1.1 Billion by 2019. The number of gamers recorded in 2o14 in Asia was a shocking 827 million. Merchandise, sponsorship and advertising are some of the driving factors to the income but it still all falls back on the gamers and their matches – without them there wouldn’t be anyone to play those games. In eSports betting, participants are able to bet on different types of games such as StarCraft 2, League of Legends, Counter Strike (CS) and of course, Defence of the Ancients (DOTA), with its insane prize pool for the winning team at US$8 million currently. 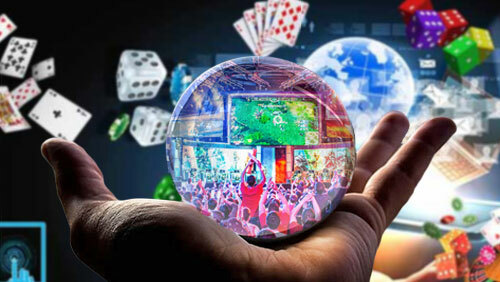 The main websites that Singaporeans bet through are bet365 and Egaming bets. Like any gambling game, eSports betting has varied types of bets for players to pick like the Match bets, Handicap bets and even Special bets. Why Is eSports Betting So Attractive? So what could be the reason that eSports betting is becoming a favoured method of gambling, especially among the young? It could be that many of those who participate in eSports betting started out playing the game when young. A childhood game that still entices with the promise of cash if one wins the bet. It is also much easier to bet online through the comforts of home and a click of a button. Rather than standing outside with the hot sun beating down on you and perspiring like you just ran a marathon. Not to mention the long wait and the chances of winning might not be as high. Furthermore, gamblers not only have the opportunity to bet with cash, but also with items that represent the game such as a figurine, toy sword and so on. It gives them the flexibility of choice which is an appealing factor to many. The New Generation’s TOTO And 4D? 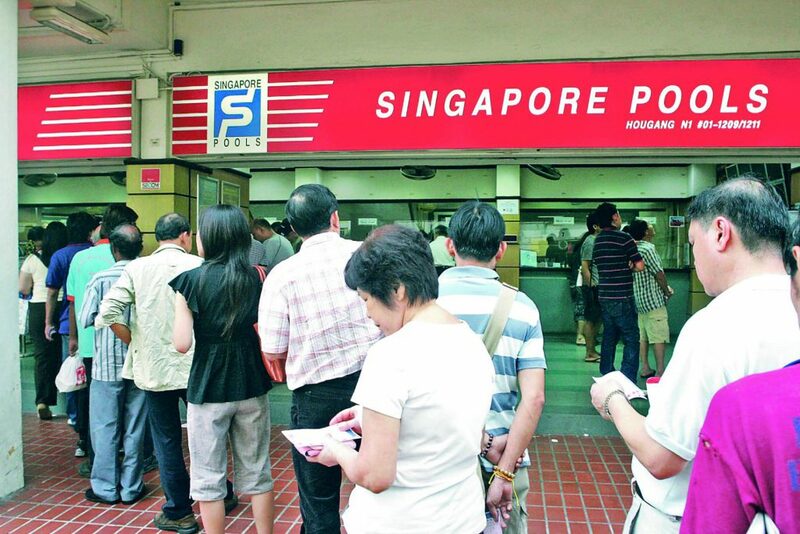 TOTO and 4D operated by the Singapore Pools, is a legalised form of lottery that is sold in Singapore. TOTO was established in 1968 with the aim to control the widespread of illegal gambling. Unfortunately, it soon turned into a game of luck for the locals. In 1986, Singapore Pools added 4D to their list with the intention to utilise technology in their operations. Both games require a selection of numbers that bets are placed upon with the minimum spending limit – a dollar. Not only TOTO and 4D, the casinos at Marina Bay Sands and betting on football games and horse racing. However, the problem of gambling in Singapore is no small feat, and while the proportion of Singaporeans and the bet amounts have dropped, pathological gamblers were found to be gambling more frequently, and more starting to pick up gambling at a young age (before the legal age of 18). To address the issue, the National Council Of Problem Gambling (NCPG) had said it “will expand its youth outreach programmes to equip young people with the skills to prevent, identify and deal with problem gambling”. In an interview with The New Paper, Dr Brian Yeo, a consultant psychiatrist at Mount Elizabeth Hospital informed that eSports gambling is innocuous in the beginning and has the power to entice many youngsters. “Their parents will probably buy them tokens or credits, thinking it’s just gaming, they won’t think that their children are gambling,” he said. Furthermore, it is hard to keep track of who is legal or age when betting online as birth dates can be faked. Sign up forms provide them the opportunity to choose the year of birth they desire, making them older then they actually are. As such, authorities and parents have a hard time finding out what their children are really up to. Regardless, to completely eradicate the issue might be near impossible, but on a personal level, we can offer advice our younger friends on the vices of a gambling addiction and encourage them to seek help if need be.